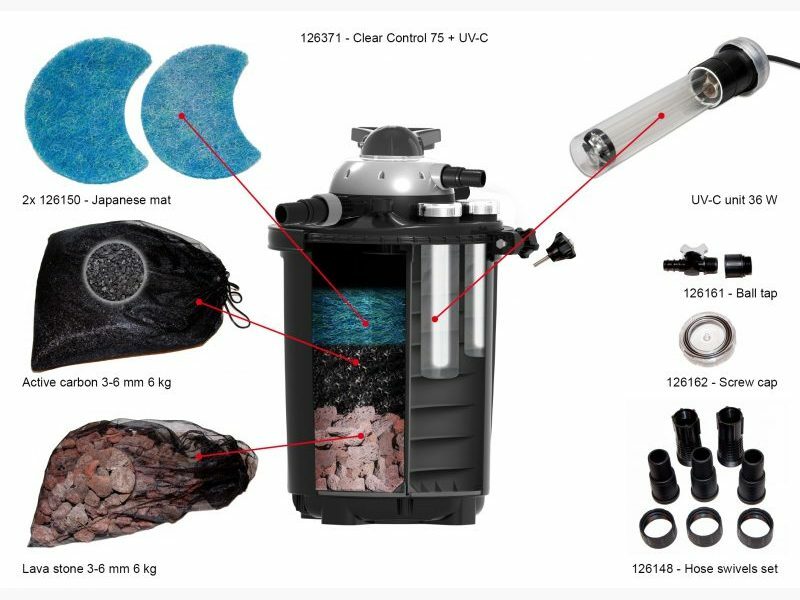 The filter is the heart and soul of any pond and with continuous operation the pond inhabitants enjoy a healthy life free of dangerous toxins. 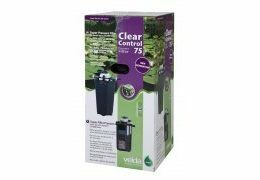 If you want to install a fountain, waterfall or stream, it is certanily important that the pond water will become and remain crystal clear. 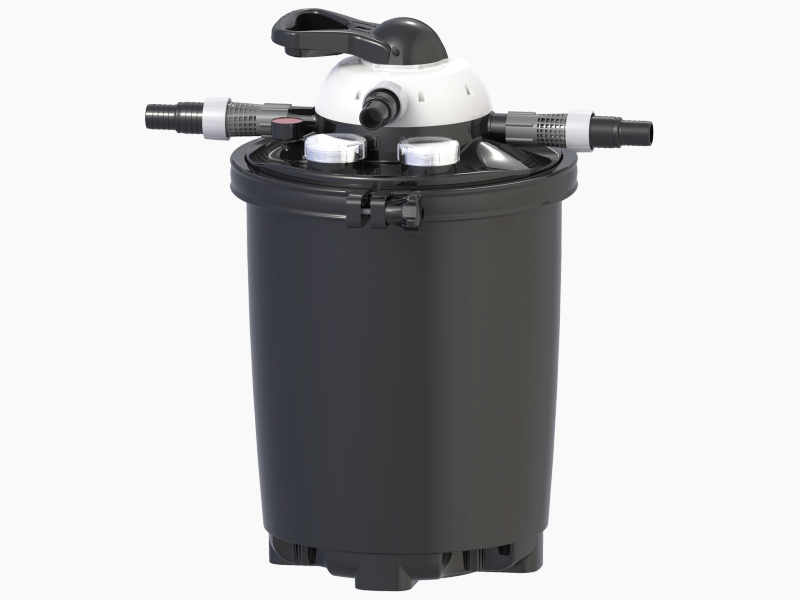 Clear Control pressure filters can withstand high pressure and the water can bridge a difference in height after the filter. Ideal for a waterfall. 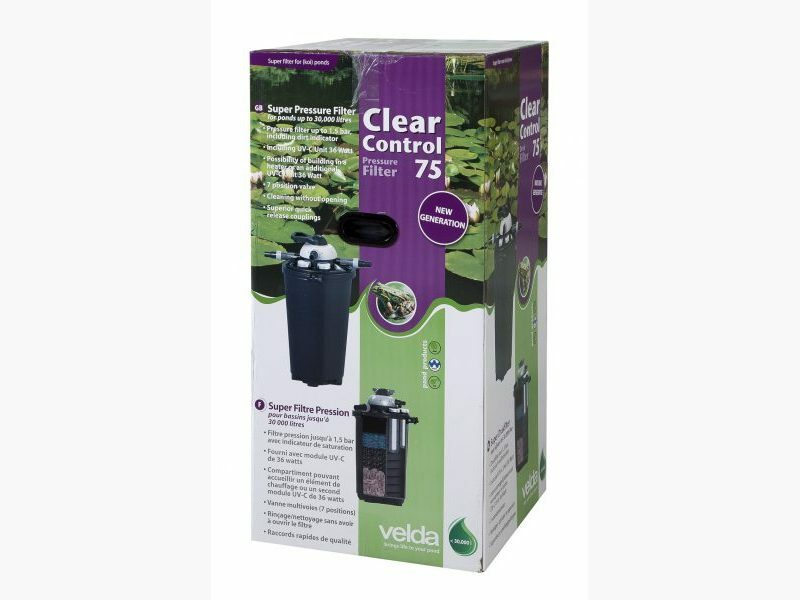 All Velda filters are also available as complete set with Green Line pond pump, UV-C Unit, hose and all adapters. 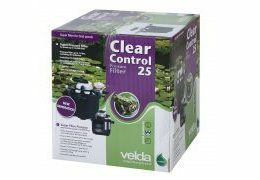 The Clear Control pressure filter of Velda is a pre-eminent medium for bacterial growth, thus the decomposition of floating dirt is very effective. 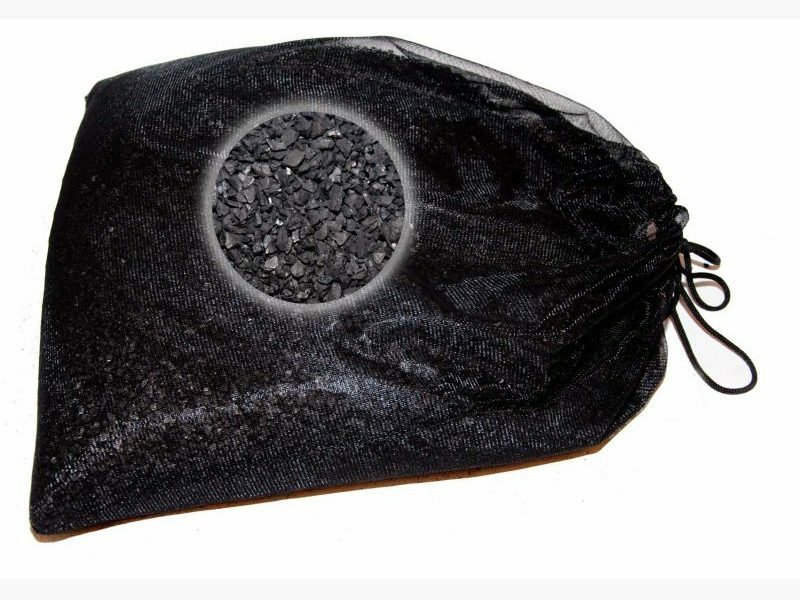 The filter can be excellently used for a single waterfall. 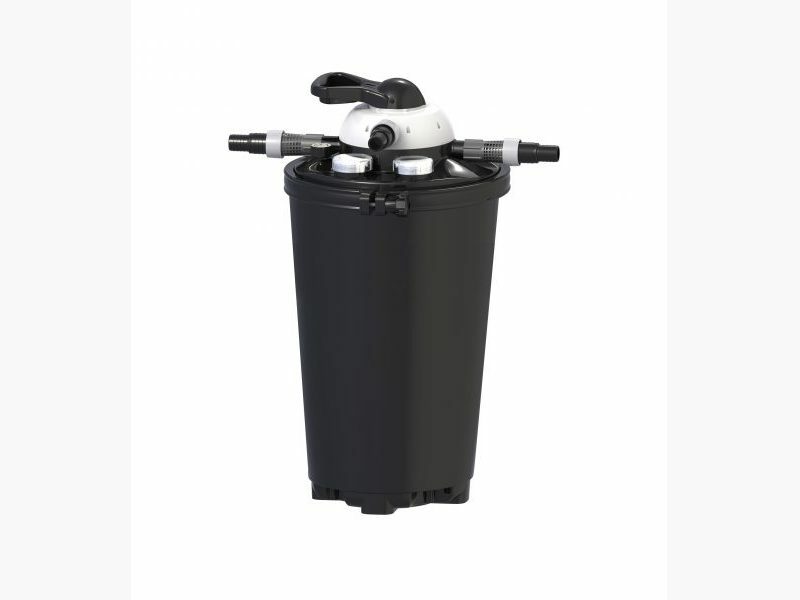 Owing to the materials used, the filter is resistant quite well to high pressure, which is raised then. 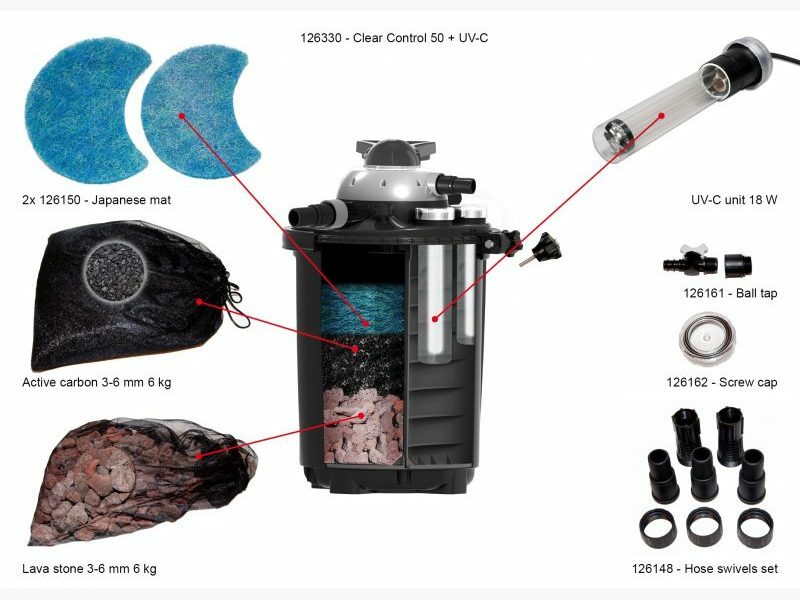 The filter is very easy to install and clean. 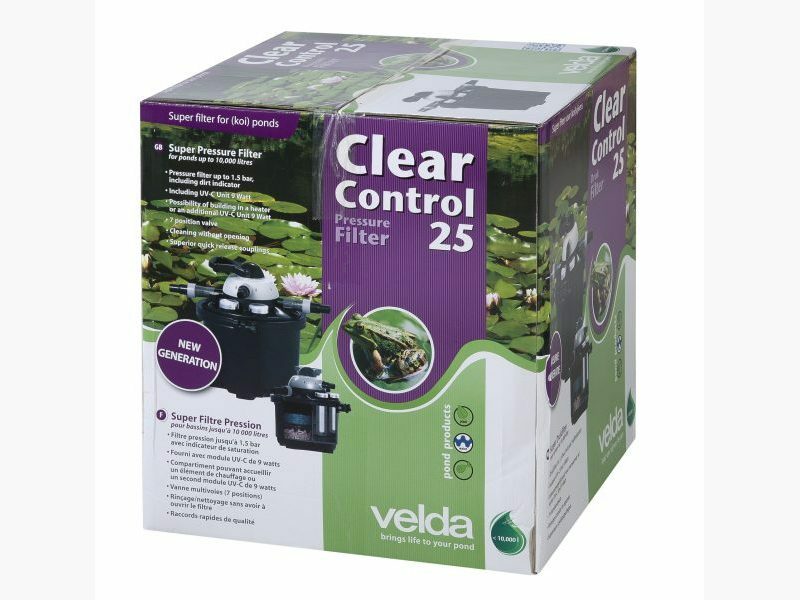 By installing a Clear Control pressure filter you will make your pond clearer and healthier. Position 1: back wash. This position is used to wash away the dirt under the grate. 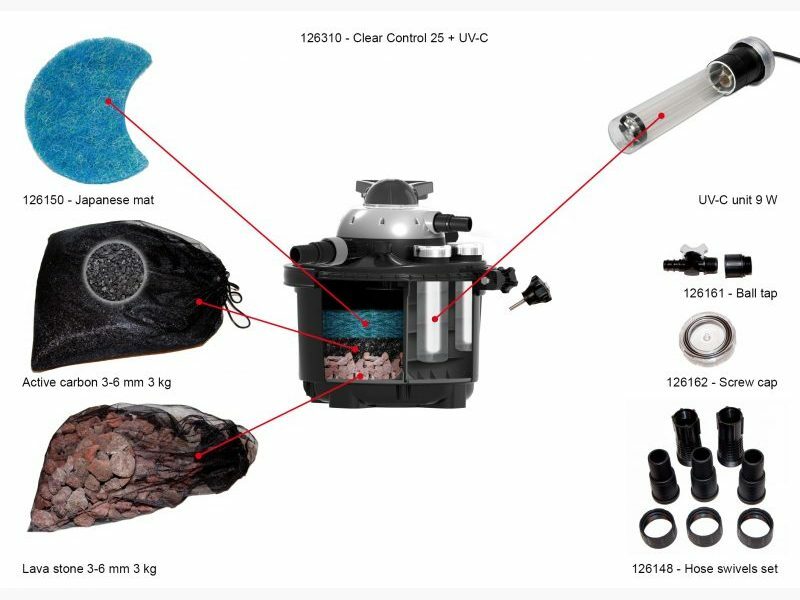 This can be necessary if coarse particles of dirt have accumulated under the grate, as a result of which the capacity will be reduced (see dirt indicator). The water is now flowing from top to bottom, which enables the dirt to be washed away. 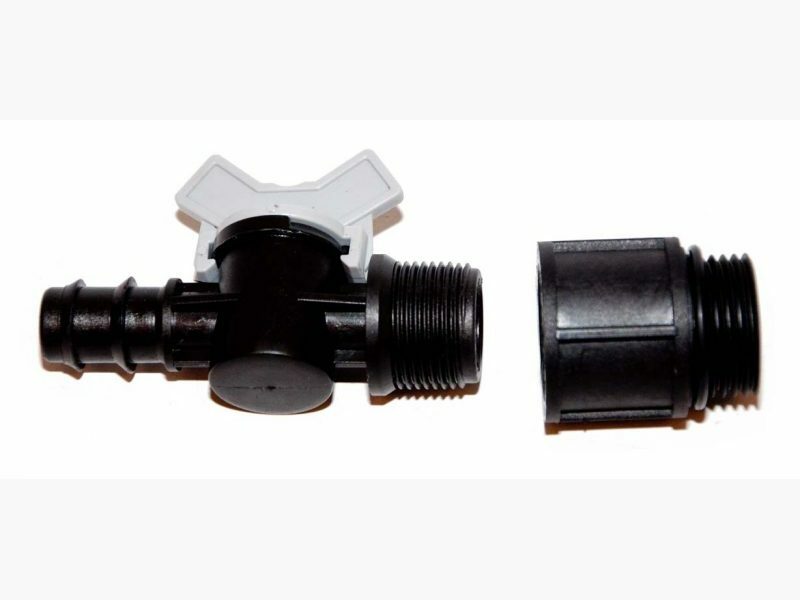 If you want to achieve this, you have to remove the screw cap and a hose should be connected to the waste outflow. The filter materials can not be cleaned in this way. They will have to be rinsed and cleaned by hand. Position 2: do not use for ponds. Position 3: pond drain. This position is used to empty the pond, should the need arise, and to wash away the dirt in the valve. To this end you should connect a hose to the waste outflow. Position 4: filtration. 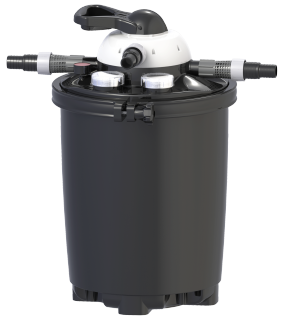 The water flows through the preliminary compartment to the bottom grate and through the filter materials to the outflow. Position 5: stop. The filter does not allow water to pass through (first switch off the pump). 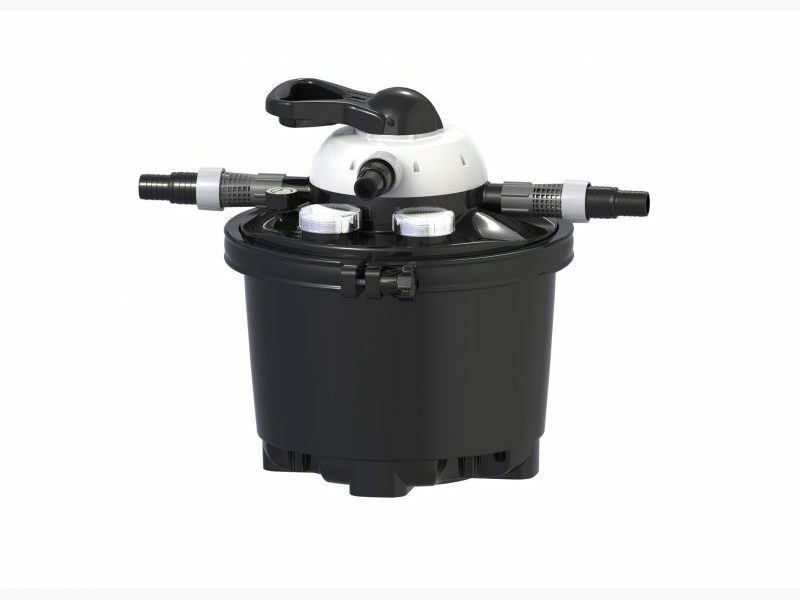 This position is used when cleaning the pond pump, the while the filter continues to be full of water. After cleaning the pump, the valve is put in the filtration position again. Position 6: bypass. This is the medication position. 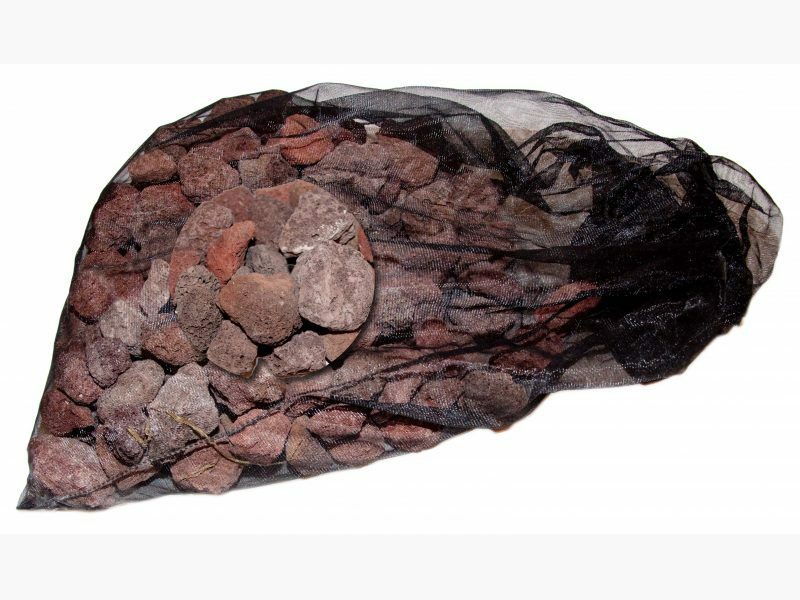 In this case, the water is not flowing through the filter material, thus the medicine stays in the water. However, after the medicine period the filter material has to be rinsed. Position 7: winter. In this position the valve mechanism will be released from pressure when the filter is not in use. This position is used by secure storage of the filter, for example in winter. 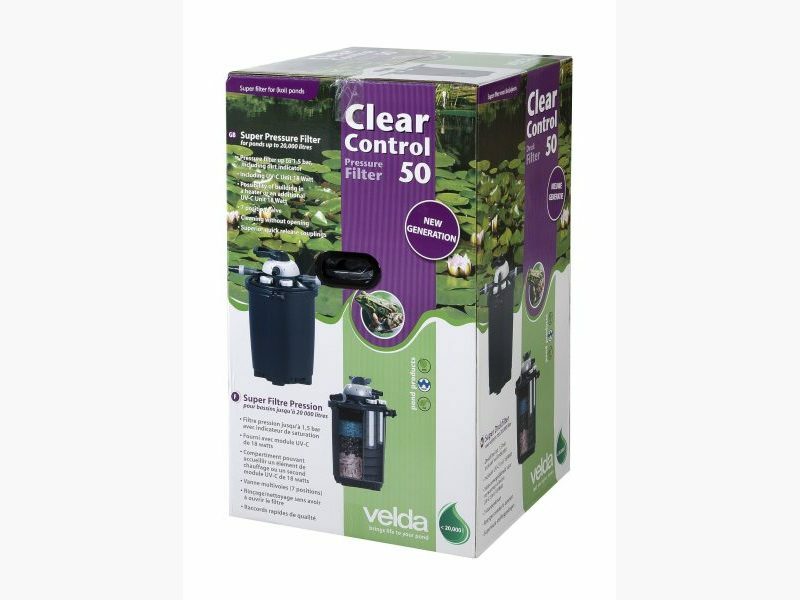 In the Clear Control, a Velda Pond Heater of 300 Watt can be mounted. 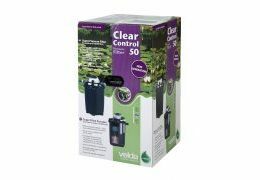 (See Clear Control 100 for ponds up to 60.000 litres.